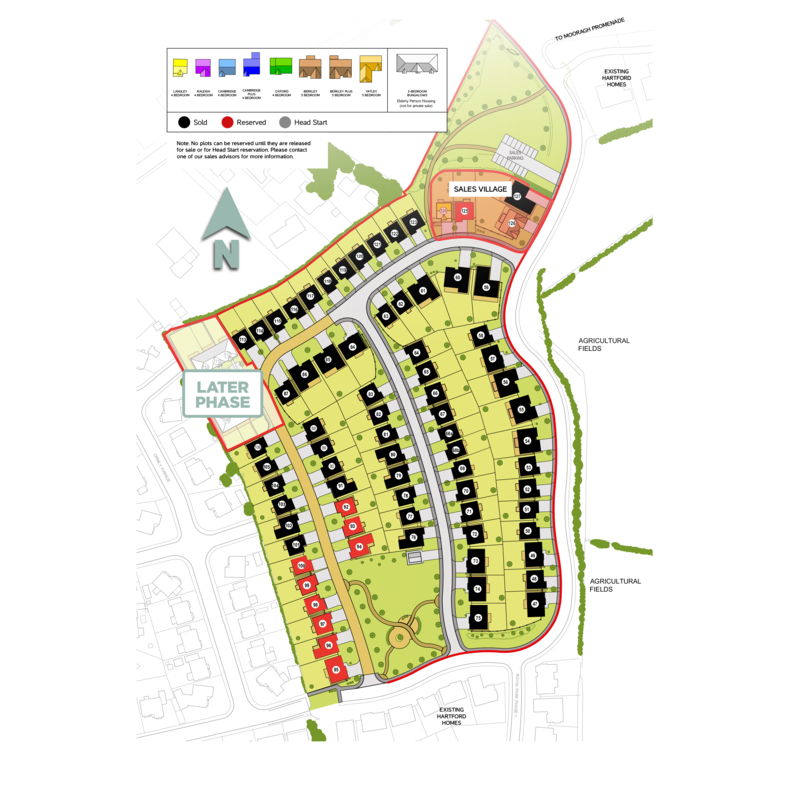 A modern development of detached 4 & 5 bed family homes near to Mooragh Park & beach. Our latest development of homes at Royal Park, Ramsey, will be made up of detached 4 and 5 bed houses situated just a minute away from Mooragh Park, promenade and beach. Each property will feature open-plan, fully-fitted dining kitchens, bi-fold or sliding doors to rear patio, garages and off-road parking. Royal Park is redefining home building on the Isle of Man; the most affordable detached homes in a superb location with no compromise on quality or design. With some 4 bedroom detached homes starting from £299,999, this is a unique opportunity to realise your dream of owning a superb new Hartford home. We’re constantly pushing the boundaries of innovative space design, and Royal Park embraces everything we know our homeowners want: light and airy open-plan fully fitted dining kitchens (incorporating the latest quality appliances as standard), bi-fold or sliding doors to your patio, single or double garages (depending on home type) and driveways with space for 2 cars, cloakrooms, utility room… and that’s just the ground floor. On the 1st floors, the 4 or 5 bedrooms provide exceptional space with luxury family bathrooms and superb en suites. Various choices and variations are available depending on the stage of construction. To accommodate further customisations, we offer an upgrade package for all house types. This is at an additional cost which we believe offers you both value and convenience. For upgrade package prices, please view the homes below. For more information, see Specification, contact our sales team to discuss or visit our sales suite. Sales Suite open every Friday, Saturday & Sunday 1-4pm or call 631000 to arrange a viewing. 5 bedroom detached home with 3 bathrooms, double garage and driveway parking for 2 cars. 5 bedroom detached home with 3 bathrooms, double garage & driveway parking for 2 cars. 4 bedroom detached home with 2 bathrooms, single garage and driveway parking for 2 cars. 4 bedroom detached home with 2 bathrooms, garage & driveway for 2 cars.